One of things that seemed really odd to me as I came into the Orthodox Church was the encouragement of prayers for the dead. As a protestant I was taught that the time of life on this earth was either a time I would spend dancing or wrestling with the serpent, of which I have become quite accomplished at both! And then after we draw our last breath, the choice is over, the race is finished, and our judgment day has come! 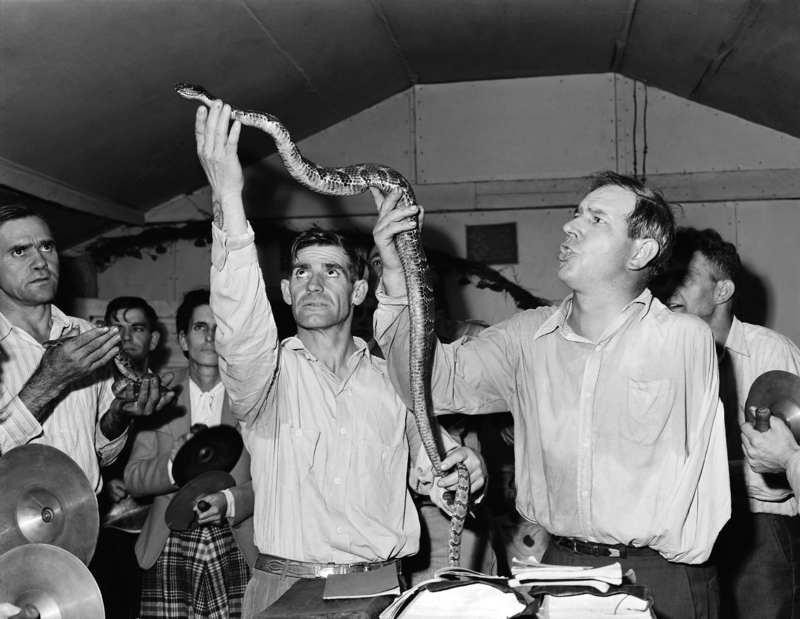 All Christians discover that the serpent is an easy dancer and I have never once stepped on his toes, because he has none. Sometimes he leads and sometimes I choose too. His dance moves are easy and seem to flow as I waste my life away in the romance of self-gratification. When I choose to set the next dance out, a wrestling match begins. My dancing buddy becomes a poisonous, combative, jealous villain trying to pin me to the mats of eternal loneliness. Those whom departed in Christ are resting and are the Church Triumphant! St. Basil the Great said that for us faithful: “death is the blessed rest that God has promised us from our labors, and we can enter it joyfully and not fearfully, because of God’s love.” We believe that this is a temporary place and our final judgment, at the second coming of Christ, will occur when our soul is reunited with our resurrected body, so we must diligently pray for them before that day. And for ourselves with this time we have remaining, we must learn to become better wrestlers than dancers!